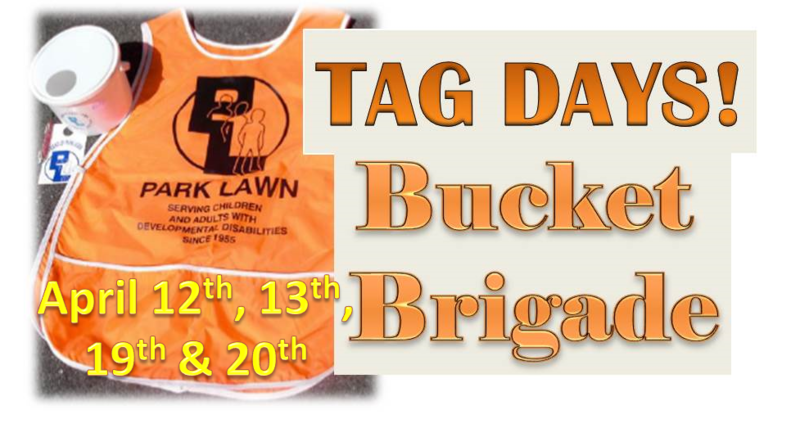 Join Park Lawn Charity Tag Days Bucket Brigade for our annual Tag Days on April 12th/13th & April 19th/20th! Volunteers are needed for two hour shifts at street intersections and store fronts in the South Suburbs of Chicago to collect donations for Park Lawn. The event informs the local community about the work of Park Lawn, which provides programs and services for individuals with intellectual and developmental disabilities. Safety vests, collection buckets and handouts with Park Lawn’s logo will be provided.